By John Jewitt. Edited with an introduction and notes by Robert Brown, Ph.D. 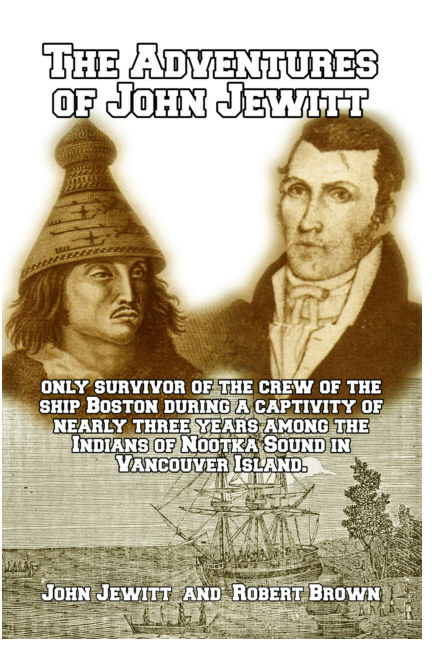 In 1803, the American ship Boston was attacked, seized, and burned by Nootka Indians while anchored off the Pacific Northwest Coast of what is now Canada. This journal—written by one of only two survivors of the massacre, provides a fascinating insight into the author’s 28 months as a slave of the Indians, one of the few white men to endure such a lengthy ordeal and live to tell the tale. Jewitt’s life was spared by the Indian chief Maquina, who realized that it was useful to have an armorer slave who could repair the European weapons which had fallen into Indian hands. Slaves were the Indians’ most valuable property, and each Indian tribe kept hundreds of them. Jewitt began keeping a journal, carefully recording everyday details about the Indians, their lifestyle, customs, and traditions. 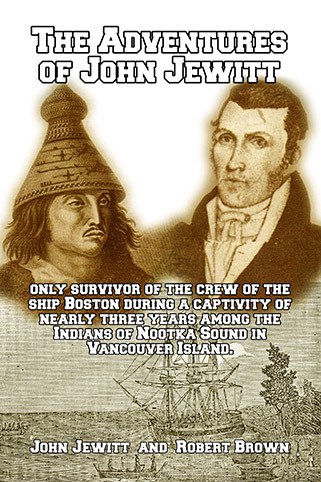 His descriptions provided anthropologists with a unique insight into early Amerindian society, while the story of his exploits and eventual escape make for a riveting adventure story. About the author: John Jewitt (1783–1821) first went to sea in 1802 as an armorer with the Boston, which was supposed to be on a round-the-world trip. His journal was first published in 1807. Robert Brown (1842–1895) was a Scottish scientist who traveled extensively on expeditions around the New World, and who published dozens of works on the botany, ornithology, geology, and geography of the areas he explored.